I love living in Atlanta. There is always something to do, and so much culture around you. There are several area attractions that make it easy for you and your family to enjoy these activities. 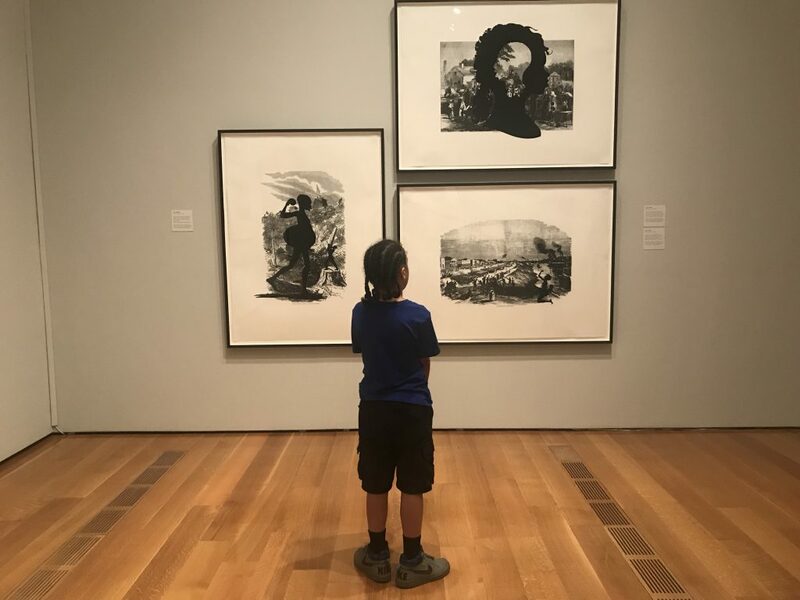 For instance, Atlanta’s renowned museum, High Museum of Art, offers FREE admission and activities for you and your family to enjoy every second Sunday of the month. Amazing, right? It’s the perfect way to spend a Sunday afternoon. Parking at the High makes this free event not totally free. Actually, parking in Atlanta is never completely free, but it can be a little cheaper. You can park on the street but that also comes at a cost and may be a little harder to find. You can park at the High Museum, but parking is $16. I found that parking at Midtown Plaza is cheaper. At the most you’ll pay $16, but if you’re parking for less than 1.5 hours then it will be less than $12. 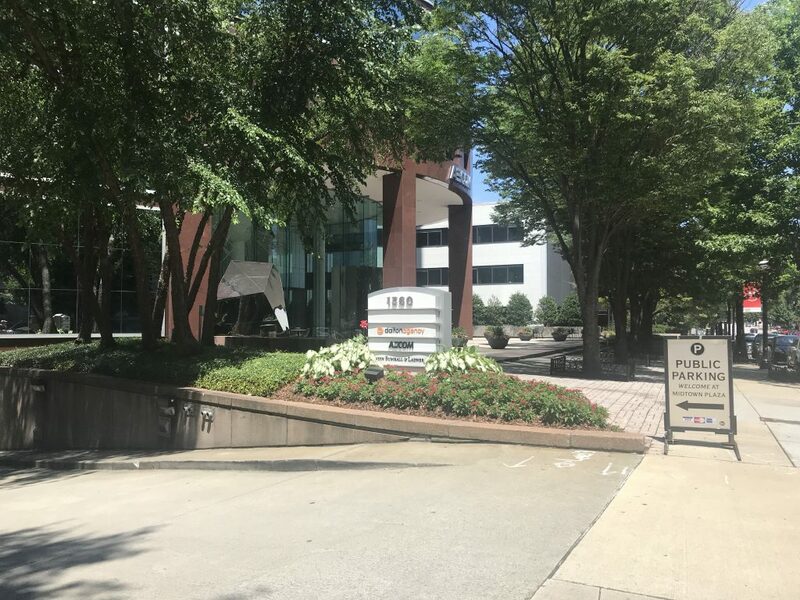 Midtown Plaza is in close proximity to the High, so walking there from the parking garage shouldn’t be a problem. This is still pretty new and my first time seeing it. As we were making our way around the exhibits I noticed a lot of the kids carrying these blue boxes. I was curious, what was in the box and how can I get one. 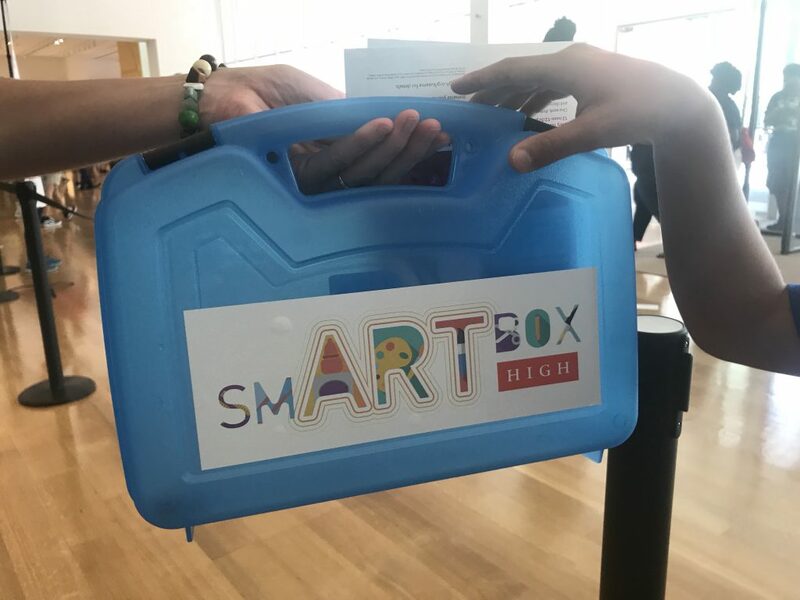 The boxes are called smART Boxes and can register to get one for your child at the High. They have two different boxes; one for 5 and under and the other for 6-12. You’ll get an added supply each time you visit (or when they let you know additional supplies are available). I loved this idea but my son wasn’t as interested. I wish they would have had them a few years ago, they would have been perfect for him. They initially come with a note pad, pencil for the older crowd and a package of crayons for the younger. I really liked the idea since it gets the kids more involved and they can carry their experience back to their homes. Currently the permanent exhibits are closed until October 2018 for updates. Visiting now will make for a quick visit as only a few of the galleries are open. 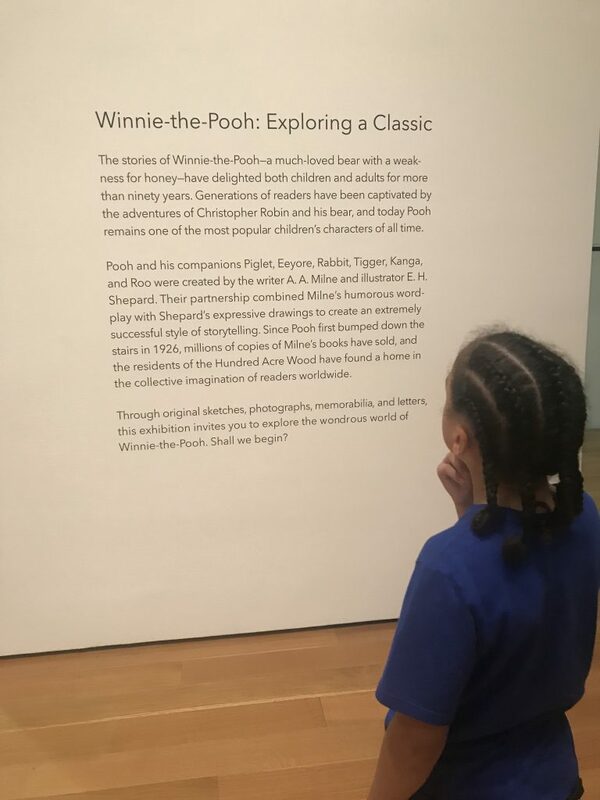 You can view the Winnie-the-Pooh exhibit until September 2018. The Winne-the-Pooh exhibit showcases some authentic drawings, notes, and memorabilia. It’s an adorable display, children of all ages will enjoy this exhibit. 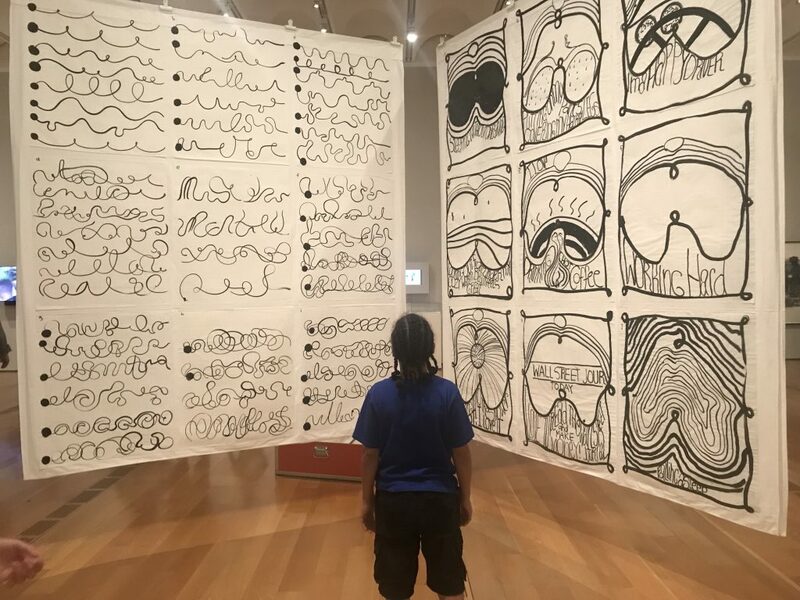 My son loved looking at the art work, he was memorized at one point and I started to walk away before noticing he wasn’t moving. I think bringing your children to different museums allows them to gain an appreciation for art. He’s not one to get into drawing too much, so for him to see a piece and have his mind start to spin with what the artist is saying. 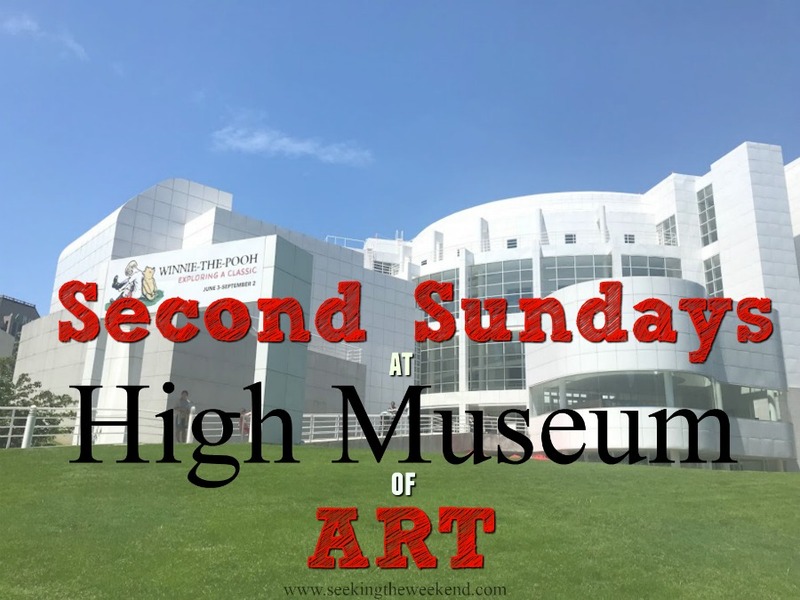 I totally support Second Sundays at High Museum of Art. It’s a great way to spend a Sunday. For the most part, you’ll never have the same experience since they have traveling exhibits. I can’t wait to go back to see all the changes they’re making. It’s going to be amazing!